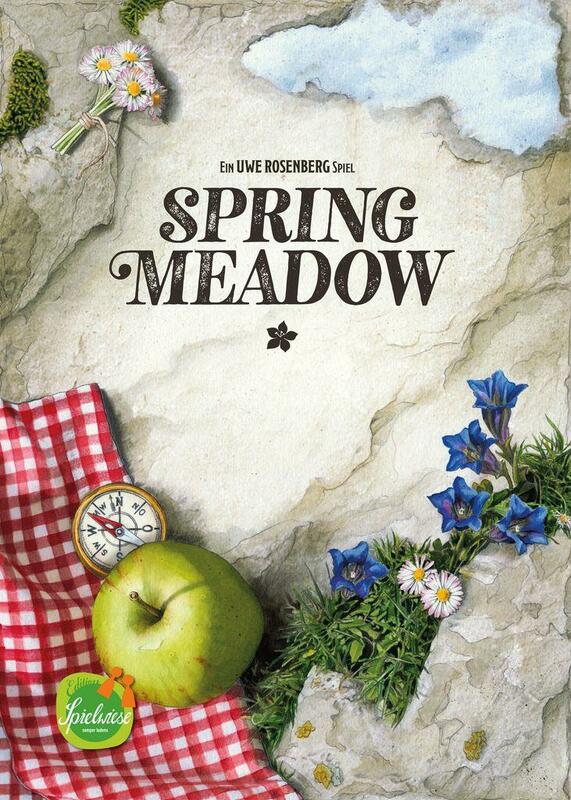 Spring Meadow is the grand finale of Uwe Rosenberg’s puzzle trilogy following 2016’s Cottage Garden and 2017’s Indian Summer. The complexity of the game is set in between the two games and fans of the trilogy will find familiar elements combined in an innovative way. The first delicate flowers herald the end of a harsh winter. The sun shines longer day by day and pushes the snow back. Lush meadows bloom and curious marmots slowly awake from hibernation. Finally, spring is coming into the mountains. The perfect time for a hike. Choose your route carefully, watch out for the burrows of the marmots, and pack enough snacks. Your chances to earn an edelweiss hiking pin are rather low if you sit hungry in the snow. 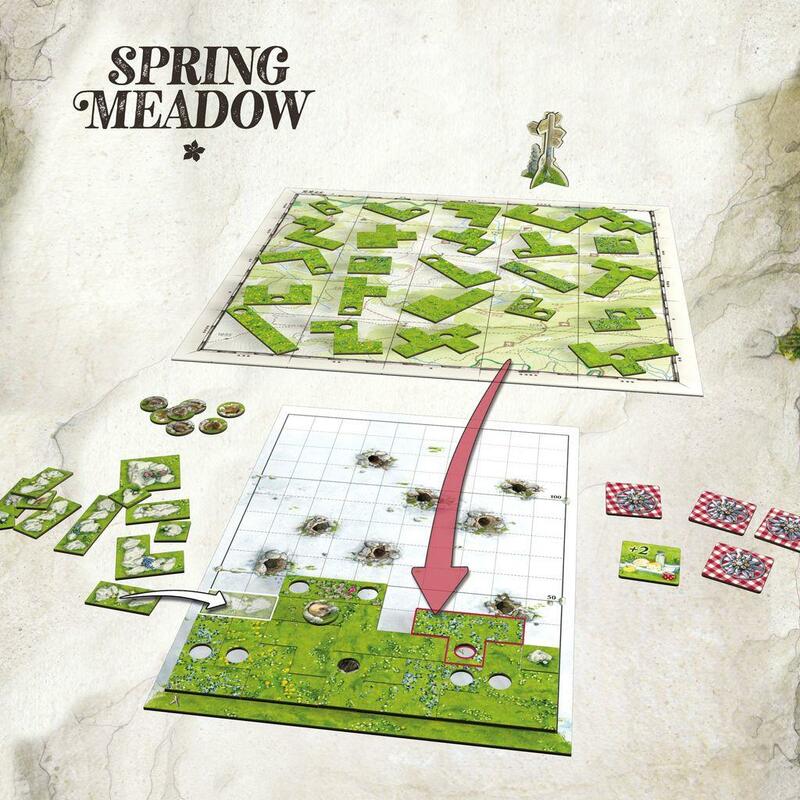 In Spring Meadow, the most interactive game of the trilogy, the player who earns their second Hiking Pin during scoring wins the game. When these scorings will happen is determined by the player's selection of Meadow tiles from a central game board. The Hiking Pin goes to the player with the largest meadow during the scoring. Place your Meadow tiles with 0-2 holes skillfully on your Mountain board to receive extra tiles when creating or expanding groups of holes. Find your way around the burrows of the marmots because they can restrict you during tile placement.